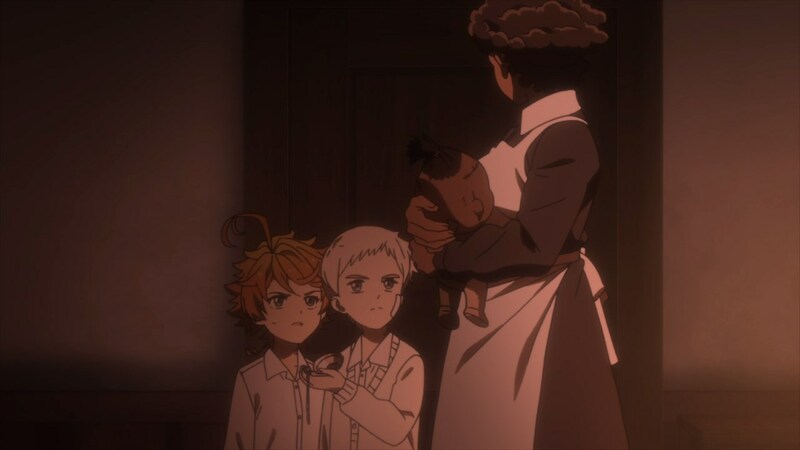 So, let’s continue from the previous episode as Sister Krone found the orphans. But instead of capturing the kids and ship them out, Krone decides to offer them some help. 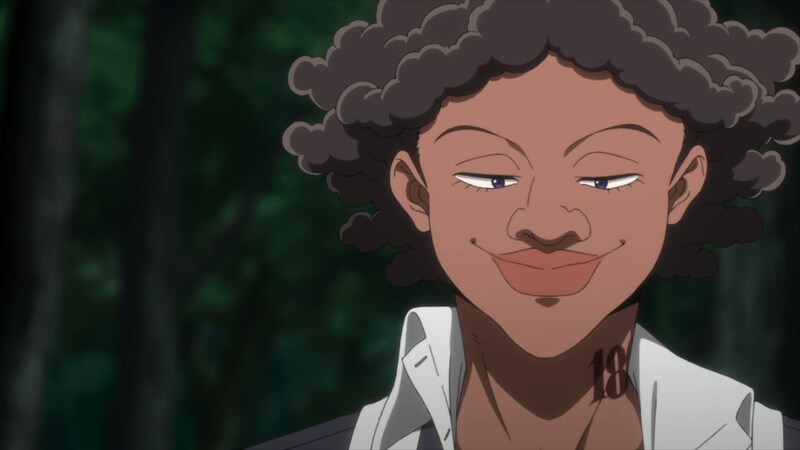 You see, Sister Krone was once an orphan herself. See that ID number on her neck, that’s the proof that Krone was once taken to the orphanage. But instead of being shipped out to become demon food, Krone became a caretaker instead. Now, I don’t know what are the requirements of turning an orphan into a caretaker, but let’s just say that Krone is one of the lucky ones. But still, she’s not the one to be trusted. 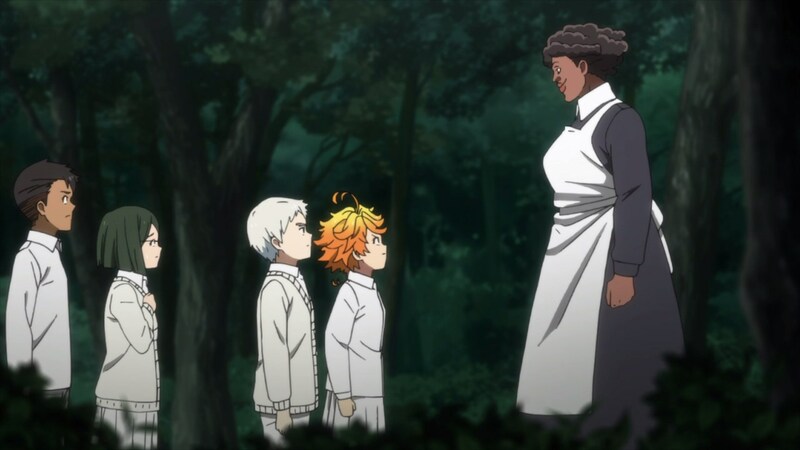 With that said, Emma and Norman decided to make a pact to Sister Krone as she told them on what she know, from the location of the tracking devices to showing off her Dra- I mean tracking radar. 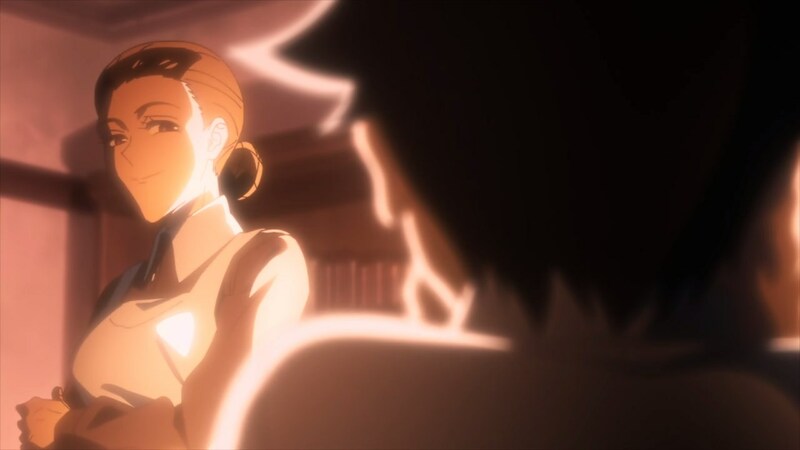 Even though Sister Krone show off her secrets, both Emma and Norman are still suspicious towards Krone. But that’s okay because she wants to use those kids to usurp Isabella’s position as mother of the orphanage. Speaking of Mother Isabella, looks like someone is taking a picture of her for posterity sake. You see, Ray is testing out his instant camera but I’m not sure if he’s gonna use it to let the kids escape or spy at them by taking photos of their secret activities. 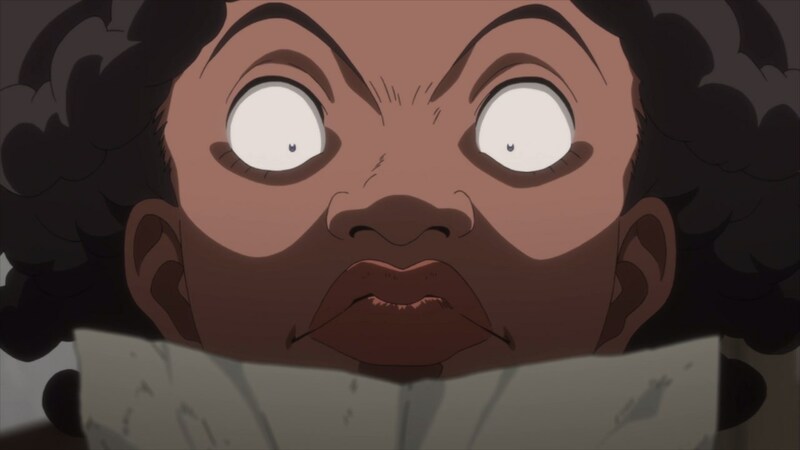 Now then, looks like Sister Krone is searching something that will topple Isabella and take her position. 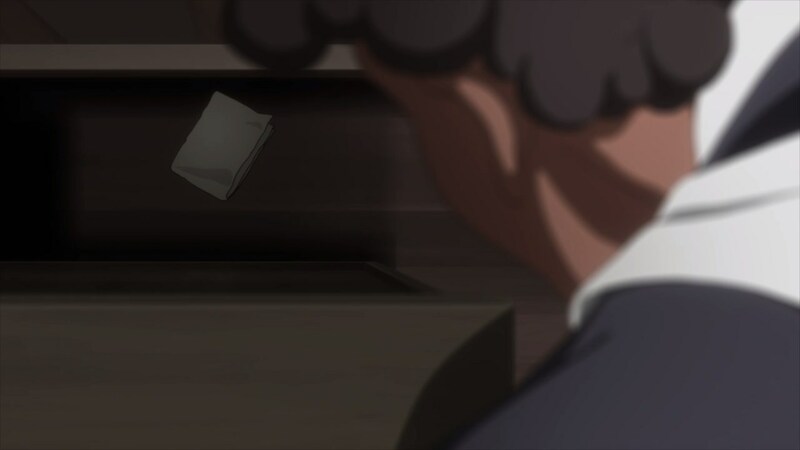 And you know what, Krone found something damning that this piece of paper might be one of Isabella’s weaknesses. 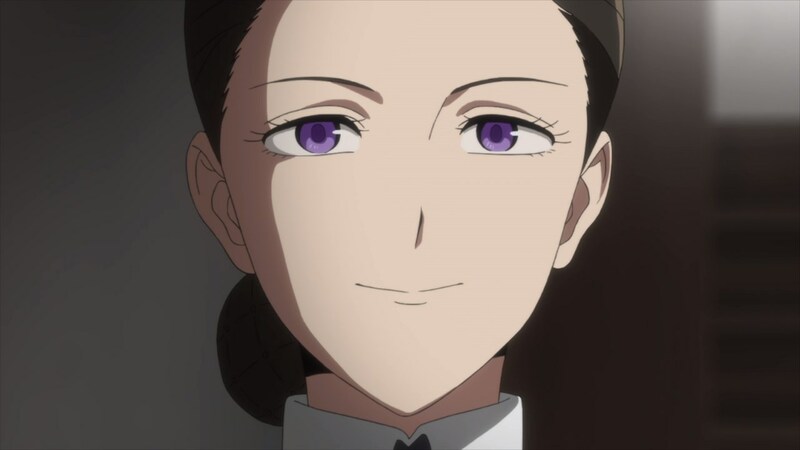 Gotta say that Sister Krone is delighted that she got evidence to overthrow Isabella. However, Mother Isabella came to see Sister Krone as she has something for her co-worker. Don’t tell me that Isabella is gonna shank Krone with a knife? 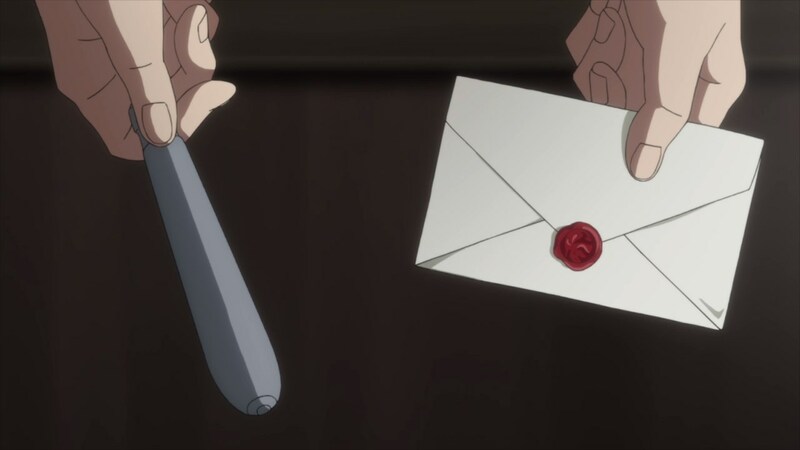 Oh, she’s just giving Krone a letter from headquarters and a knife to open the envelope up. 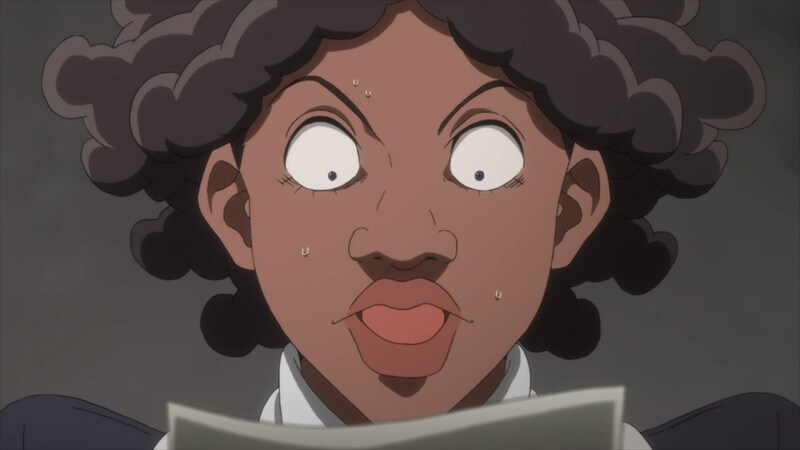 But once Sister Krone read the letter from headquarters, it seems that she’s having a big crisis. OMG, don’t tell me that the demons decided to oust Sister Krone? With that said, seems that Krone’s dream of overthrowing Isabella might be over. On the flip side, the kids will only have to worry about Mother Isabella and her next move, but then again there’s Ray as he can throw Emma and the rest off-balance at the last minute. Anyways, I’ll see you next time and really, the cliffhanger is killing me again! 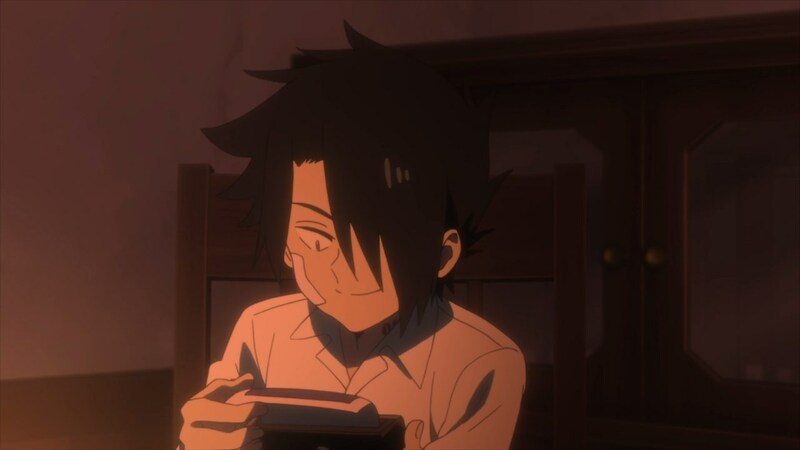 This entry was posted in 2018 Anime Season, The Promised Neverland, Winter 2018 (January – March 2019) and tagged #約ネバ, 2018, anime, season, The Promised Neverland. Bookmark the permalink.